Eve, Miriam, Esther. Naomi, Ruth, Rebecca. These names and those of the many other women of the Old Testament resonate in our imaginations. But how much do we really know about our biblical foremothers? Their stories are briefly told in the original text and are shrouded in questions. How did Eve navigate the journey to wisdom? What enabled Hagar to sustain herself and her son, Ishmael, in the wilderness? How did Miriam inspire hope in the refugees escaping from Egypt? Most important, what enduring lessons can these women share with us today? In this vivid collection, Judaic scholar Vanessa Ochs brings the legends of the biblical matriarchs to new life using her own form of midrash, a creative but scholarly reinterpretation of sacred works that puts flesh and bones on the original. Finding her own, distinctly female voice in this traditional art, Ochs retells the incredible stories of the biblical matriarchs, filling in the gaps and answering some of the key questions left behind by the original text. 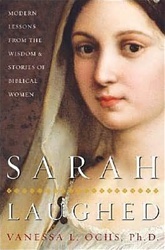 For each of the women in Sarah Laughed, the author first translates the Hebrew passages in which the woman appears and then presents an eloquent new rendition of the story, offering a creative way to connect to these heroines, making their trials and triumphs relevant for women today. Intimate, familiar, and wise, the mothers, wives, and maidservants you'll find here are revealed to be uplifting role models, from Eve's rebellious taste of wisdom to the righteous anger of Job's wife. Each story is accompanied by real-life rituals that you can perform at home, including friendship meditations and original craft ideas. 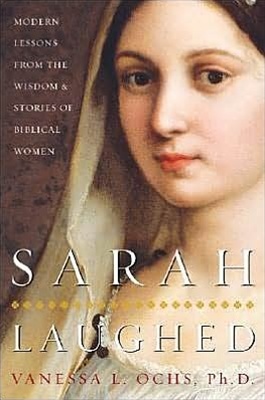 By learning about the gifts of these ancient women, you'll discover exhilarating ways to embrace your own personal gifts and gain fresh insight Like never before, this unique book reveals the real people behind the immortal women of the Bible -- gutsy, vulnerable, and ultimately inspiring. By consulting our ancient community of sisters, our own lives are illuminated and empowered by the experiences and lessons of these age-old and still vividly available women.